From the Trenches series – Why do you use… ? Our Customer Service Representatives (CSRs) are our front line of communication with Patagonia fanatics far and wide. The crew here at our Call Center in Reno, NV are at it seven days a week, taking orders, helping with returns, and most importantly, answering the astonishing range of questions our customers fire at us. Like flocks of swirling swallows or shimmering schools of tropical fish, our customers swoop in with mysteriously synchronized concerns and questions on a regular basis, prompting the need for ready answers. Times like these, nothing would be more handy than magically beaming knowledge out into the ether. Our very own Old School is here to do just that. He's stepped back from the front lines to answer some of these popular questions, straight from the trenches. Patagonia has a well-deserved reputation for being extremely picky about what materials go into our products. Often, the materials we choose are exactly the same as those used by our competitors. But just as often, we insist on different materials even if we have to encourage our suppliers to make the material we're looking for. Below are two common questions we receive about natural fibers we use in our clothing; one is virtually identical industry-wide and the other is a fabric we insisted on tweaking because of environmental concerns. So why do you use down? In the outdoor clothing industry down insulation is ubiquitous. Almost every company sells a puffy down jacket and I often wonder if these other companies get the same ethical questions we get about using down. We continually find ourselves fielding questions about how a progressive company like Patagonia can, in good conscience, use down. The answer to that is simple, Patagonia’s mission statement begins with "Build the best product…" For us to do this we need to use the highest quality materials available. Right now when it comes to insulation, down has no equal; it has the highest warmth-to-weight ratio of any insulation and is highly compressible as well. 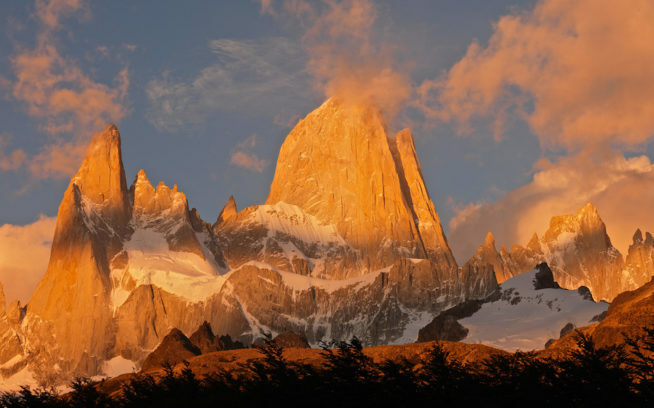 Both properties are highly prized attributes in mountain clothing. That said, we do believe in the humane treatment of animals, and the geese that provide our down are no exception. It's important to remember that down is a by-product of the food industry. Goose is a popular meat in Europe and as it turns out, selling the down from geese production is a profitable secondary benefit for the geese farmers. It also turns out that producing high quality goose down is not at odds with producing high quality goose meat. Healthy birds produce high-quality meat as well as high-quality down so it is in the farmer’s interest to have a healthy population of geese. Geese are fed natural grains, corn oats, and wheat and occasionally soy for protein. To our knowledge, the only geese that are force-fed are those being raised for goose liver. Geese being raised for both food and down are not force-fed because that produces substandard, oily down. Raising geese is surprisingly chemical free. The geese are vaccinated at 2 weeks old and from then on they’re generally disease-free. The geese are raised without pesticides or insecticides and aside from some possible fertilizer on the grass, that’s it. The most controversial aspect of goose down is down collection. For years, the prevailing wisdom was that down collected while geese are molting was harmless and painless to the animals, so we used down that was available from Hungary, which was likely sourced both as a by-product from meat production and from live-plucking. We've since learned to question the prevailing wisdom. While we cannot confirm if live plucking is indeed cruel, we felt it was best to avoid contributing to a contentious issue. As of March 2009, we made the decision to limit our use of down to only that which is truly a by-product of the food industry and developed a certification process to ensure this. Down that conforms to this certification can be found in products that will be available in stores in October of 2009. Despite the above–or maybe because of it–some of our customers will have a problem with the use of goose down as insulation. For those who prefer to avoid animal-sourced materials, we offer a full line of products using PrimaLoft® synthetic insulation. For more info on our down products, you can check out my previous post here. ED NOTE (April 5, 2011) – In the above copy, we make the following statement: "To our knowledge, the only geese that are force-fed are those being raised for goose liver. Geese being raised for both food and down are not force-fed because that produces substandard, oily down." Since writing this piece back in September of 2009, there have been new developments in the sourcing of our down. In December of 2010 we were accused by the European animal rights organization Four Paws of using down from live-plucked geese. While their accusations were incorrect (our certification process ensures we source exclusively non live-plucked down) this accusation did prompt us to reexamine our down supply chain. The results of this investigation showed that some of what I reported is incorrect. Our latest efforts to investigate our down source reveal that there is actually no difference in the quality of down produced for meat vs. that which comes from geese that are specifically force-fed in the traditional methods of foie gras production. This of course raised new questions, which we delve into here: http://www.thecleanestline.com/2011/04/lowdown-on-down.html. 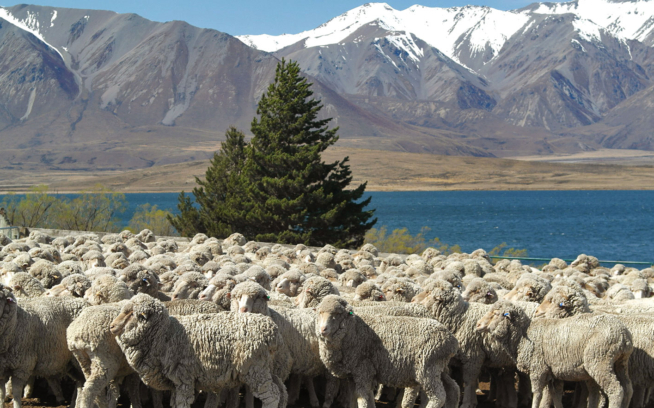 Why do you use chlorine-free wool in your merino wool baselayer line? One of the reasons that Patagonia was a little late getting in to the wool baselayer market wasn’t that we weren’t convinced of its benefits, that’s a no-brainer. Instead the problem was the process required to make the wool both machine-washable and comfortable against the skin. Even the finest merino wool fiber in its natural state is covered with tiny barbed scales. These scales not only make the wool itchy, when machin- washed those scales interlock, resulting in shrinkage. The most common method of processing wool is a chlorine-based process that completely removes the scales. The result is wool that doesn’t shrink or felt and is soft against the skin. Unfortunately this chlorine-based process sends large amounts of chlorine-based organohalogens into the environment. This process is so toxic that it is actually illegal in the U.S., so the treatment must be done overseas. This was unacceptable to us, so we worked with wool suppliers to find a safer process called the slow-wash process. Our slow-wash systems uses ozone to remove only the barbed tips of the scales rather than the whole scale. Because this is a closed system none of the ozone escapes into the environment. This not only gives us a toxin-free process, it has other benefits as well. Chlorine-based processing not only removes the scales, it also removes much of the lanolin which is the oil that makes wool water repellent and odor resistant. Chlorine-based processing also damages the fibers to the point that they often need to be coated with a polymer resin to make them strong enough to be woven into fibers. Our slow-wash process preserves the natural lanolin and because much of the scale is left intact, the wool remains strong enough to be woven into fibers without the need for a polymer coating. We believe our slow-wash process is not only better for the environment, it also produces a better product. We think it was worth the wait and hope you do as well. If you missed my post about visiting one of our wool suppliers in New Zealand you can read it here. Another common type of question we get is the “Why don’t you use ____?” question. I have to admit I often have these questions myself. Sometimes you read about a cool new fabric that sounds super green or maybe just really innovative and I wonder why we're not using it. Of course I’m not the first one to wonder about new fabrics. Our fabric developers are at the forefront of fabric technology and every time I ask about something that sounds new and cool, it’s old news to them, having already researched and tested it, sometimes years before. And, just like Paul Harvey says, there’s always “the rest of story.” In my next post I’ll have some answers to a couple of our most common “Why don’t you use___?” questions we frequently hear on the phones. Stay tuned. . .